Having a pond in your backyard can add to the beauty and tranquility of your space. However, if you do not take the time to make sure the pond is installed and sealed properly, it can cause you some problems. If you notice leaks and problems with a pond that you've had for several years, it might be time re-seal the pond. It is important to make sure that you choose a high quality sealer to make sure it can meet all of your needs. Many products require not just a primer but 2-3 coats which will add not only to your costs but the overall time spent. Also the ease of application is important. 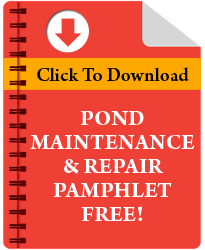 With any pond leak as they are difficult to identify you will need to coat the entire surface of the pond. That means any large rocks will need to be removed to insure the entire liners has been coated or at the very least a very generous caulking around any area you cannot get to. 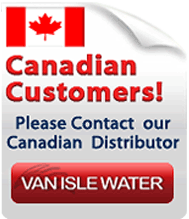 What Should You Look for With a Pond Sealer? If you have plants and fish in your pond, then the first thing you need to consider is whether it is going to be safe enough for you to use in the pond. Some of the sealers on the market are toxic, and they would be better suited to fountains and ponds that do not have any plants or fish. Always check to see that it is safe for plants and fish alike. In fact, even if you don’t have plants and fish, getting nontoxic sealers is a good idea, since you may have some visiting animals that come and drink out of your pond. You do not want them to become ill because of it. How easy will the sealer be to use and to apply on your own? 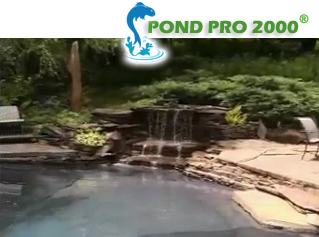 Many people who have ponds in their yard want to be able take care of everything on their own. If you have a simple to use sealer that is still durable and high quality, it will make it much easier to complete as a DIY project. One of the other things you may want to think about when you are choosing your pond sealer is the colors in which it is available. While the two colors that are most common are clear and black, there are some options out there with other colors that might work better with your particular pond. Other potential colors to consider include blue, green, and gray. Another benefit of PondPro is that you can customer color to whatever color you like. You can customize the color of PondPro by adding no more than three ounces per gallon of an universal colorant (Glycol Colorant for light colors and for medium to heavy colors use a solvent based colorant available at most paint stores). If the desired color is still not achieved you may add up to ONE more additional ounce of colorant. How durable is the pond sealer? Does it have the potential to last for many years? If you choose a low quality sealer, it typically means that you will have to reapply it on a yearly basis. No one wants to go through that hassle if they can avoid it. Getting a long lasting sealer, even if it might cost a little more, is a better option as it can cut down on future work and repairs. When choosing the pond sealer, you should also consider what types of surfaces and projects it is meant for. 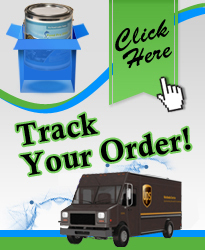 Many of the top quality options are able to work on ponds, fountains, streams, and similar items. A flexible sealer that can work on many different projects is generally a better option, especially if you are thinking about expanding. Take the time to find the right, quality sealer for your project.